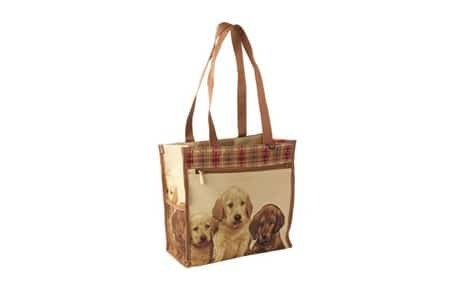 This elegant but practical shopping bag has long handles and additional pockets on both sides. 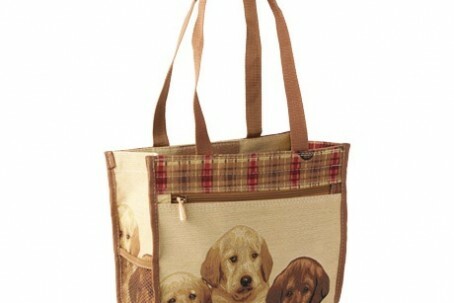 It’s designed with 3 lovely Labrador puppies. Dogalogue gifts from Guide Dogs is a great way to buy presents for loved ones whilst also supporting Guide Dogs for the Blind. They have an excellent range of products available including home and garden, clothes, gifts for pets, christmas cards, decorations and wrapping paper and lots more. By Post - £4.95 : Guide Dogs aim to have your products with you within 7 working days. Express By Post - £8.99 : Quicker delivery. FREE Delivery : When you spend over £45.